"Our candidates will practice what they preach”. 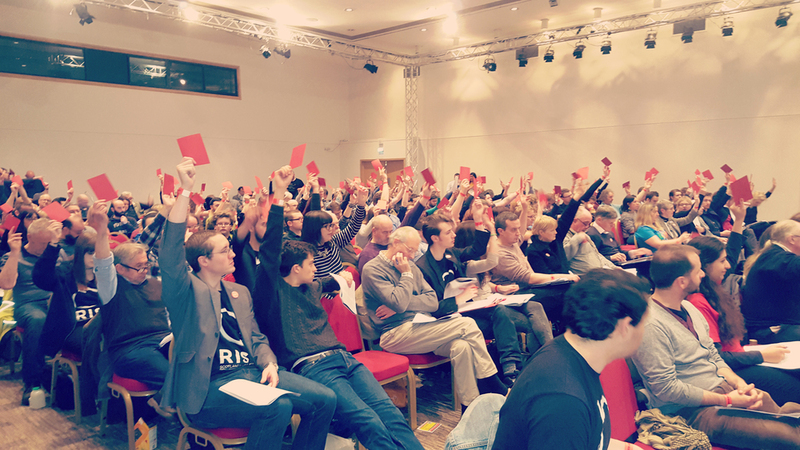 A new socialist electoral coalition planning on standing candidates in the 2016 Scottish elections is having its first ‘Democracy Conference’ at the Royal Concert Hall in Glasgow, with over 300 in attendance. The conference has been organised on the principles of participatory democracy, with all 72 motions put to the conference proposed by grassroots RISE activists. A five point ‘Charter for Political Ethics’ for Rise elected representatives, including taking a workers wage – no more than the average wage of skilled workers in Scotland – with the rest of the salary going to RISE campaigning efforts; a limit of two consecutive terms in office to limit political careerism and encourage developing many leaders; a commitment that Rise representatives will use their platform to raise up the voices of the marginalised in their communities who are not usually heard in Scottish political discord. Participatory structures in Rise to ensure the organisation is led by the grassroots – this would include a commitment to 50/50 gender balance and positions that are recallable by majority vote, as well as use of ‘e-democracy’. A Rise women’s network proposed and passed a motion ensuring that childcare and other care responsibilities are accounted for at all Rise events, with training for all members to encourage maximum participation. “This conference is doing politics differently. 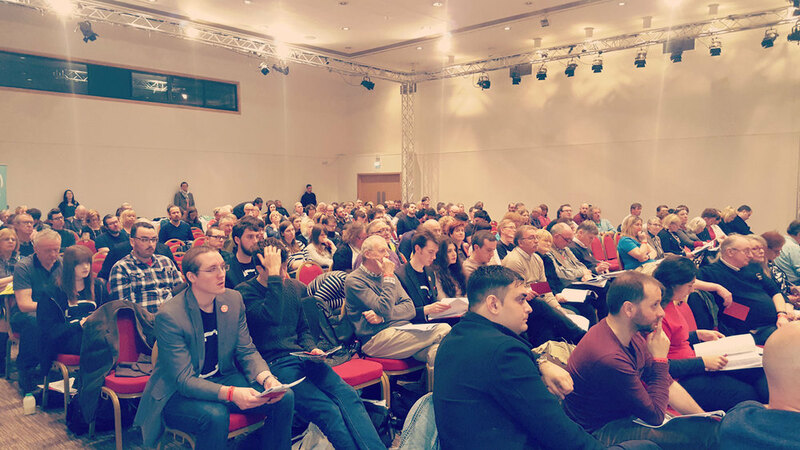 There’s not another party political conference this year in Scotland that will involve anything like the extent of grassroots democracy and participation to shape the policies, structures and principles in which this coalition moves forward on. “For too long on the left in Scotland our practises haven’t matched our politics – we’re changing that, and ensuring that what we stand for is reflected in how we organise ourselves. The afternoon section of the conference will discuss Rise policy issues. For more information on the motions passed or anything else about the conference, contact Jonathon at shaficodes@hotmail.co.uk or call 07983537187 or Craig at craigpaterson8787@gmail.com 07508482085.